According to the artist, the present work was executed in Vienna in 1983. It was part of John Armleder's first solo exhibition in the United States in 1984. (no author.) John Armleder. 1988, New York, Delano Greenidge Editions, p.23, illustrated in color, full page. Please note this work was executed on a found sheet of paper. 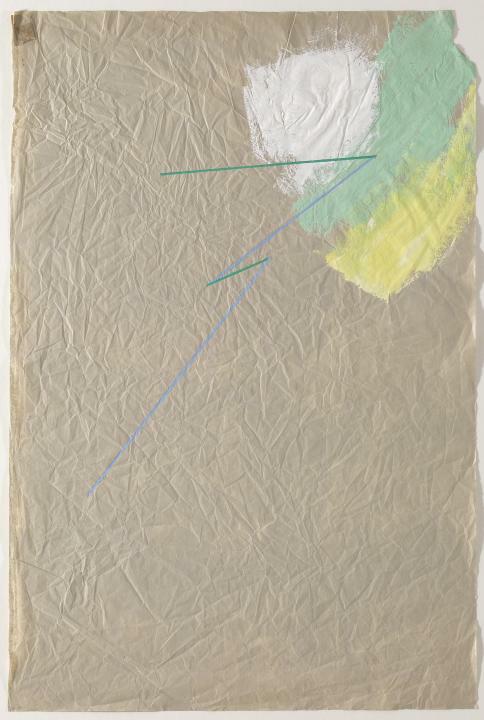 The loss in the upper right corner, the masking tape showing through from the reverse in the upper left corner and the wrinkled sheet are all part of the work.